You are here: Home / All blog posts / First dye cube complete! I love watching these progressions….. This is fascinating. Thanks for the visual. 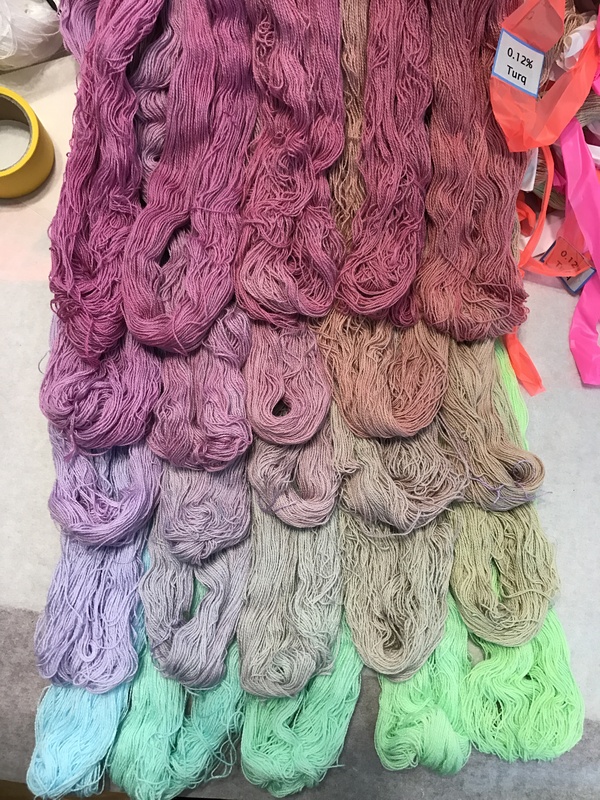 This is the way I would do the dyeing because I’m a scientist but since I’m not trying to recreate a color I usually do what I’m doing tomorrow. 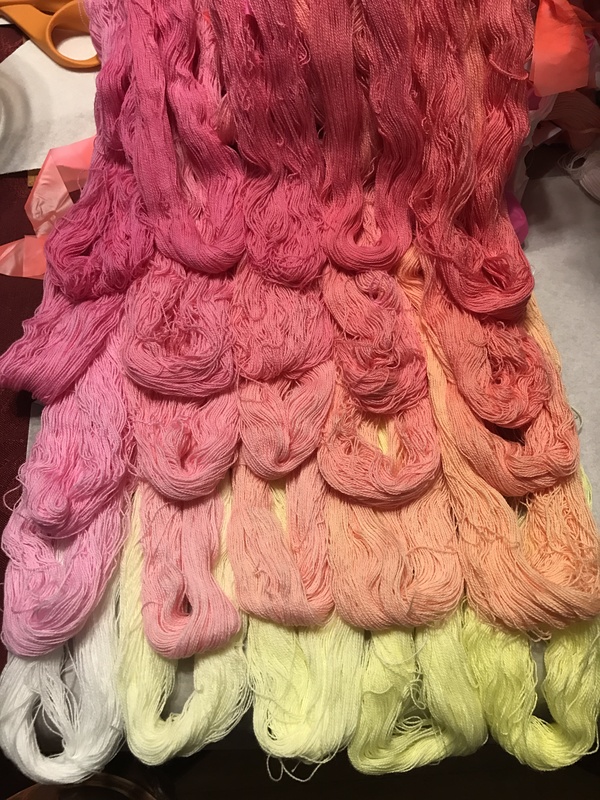 I will dye fiber three colors and start blending the red, yellow and blue to get a range of colors to spin. That is amazing–and impressive! How long did it take to dye all 125 samples? 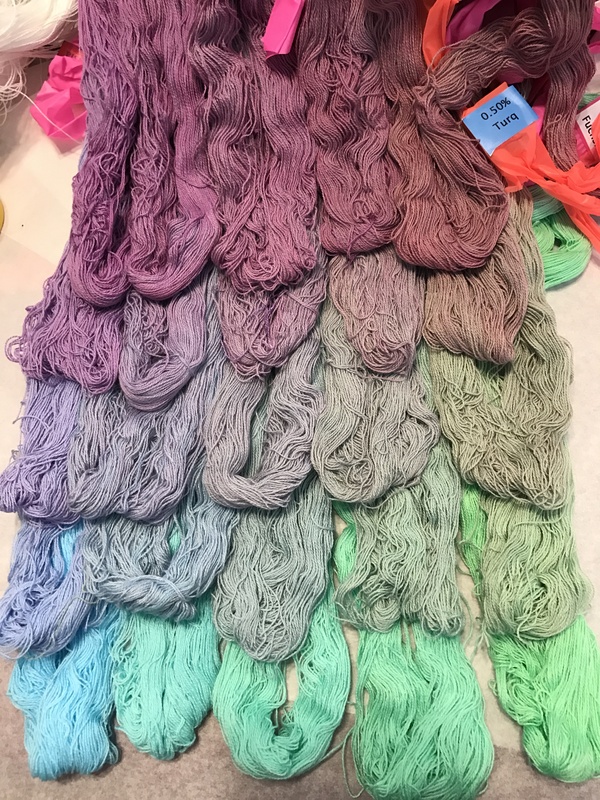 Not as long as you might think – I only had to do 15 dyebaths (one for each color/concentration), and I discovered I could do 4 dyebaths at once, so it only took four sessions. 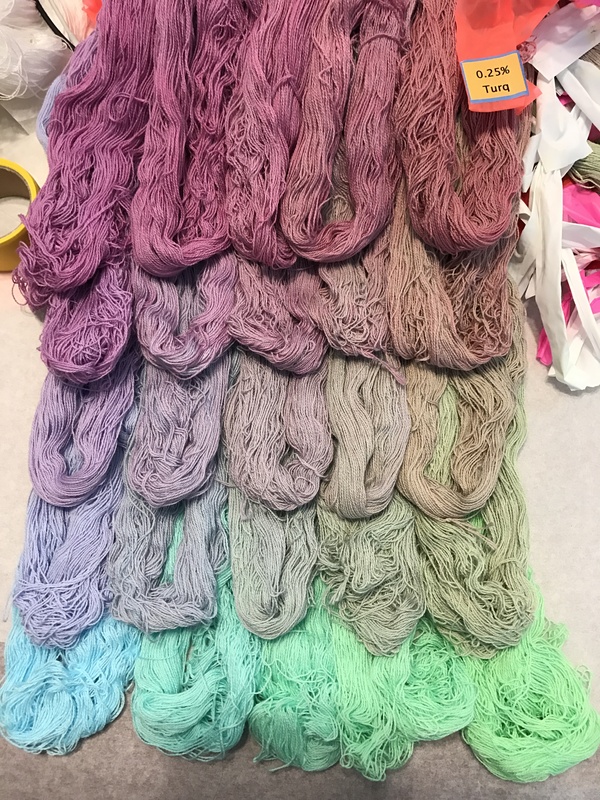 That said, the bulk of the time is actually in prepping the skeins – each skein has to get a second skein tie, then a “bracelet” of flagging tape for lifting/lowering the skein, labeled with the color and concentration of the dyebath. The bracelets are color-coded so you can see at a glance which colors have been used. 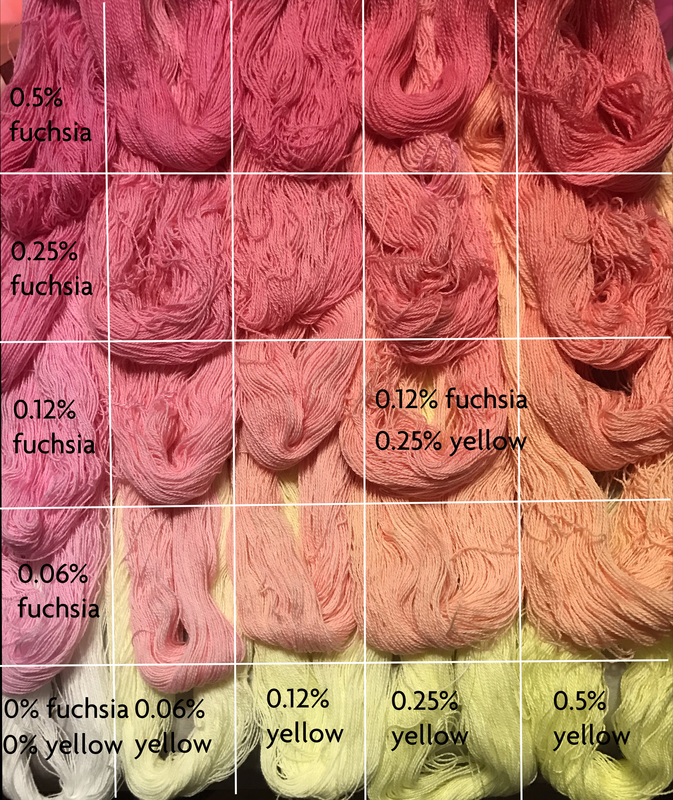 Interesting results and somewhat different than I get with lanaset dyes at similar percentages. Note I exclude Dharma’s lanaset dyes as they are very different in both price and appearance. Different brands of red and other hues act/look differently. Really looking forward to seeing the whole series. Great study!! 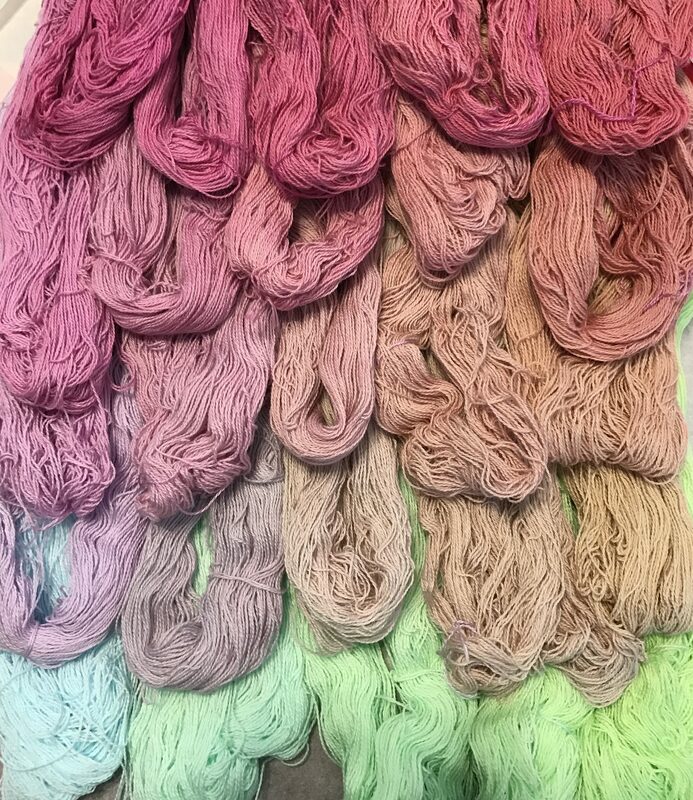 Whoops I meant to include the word acid dye and dyed on wool rather than cotton. So intriguing. I love this whole exercise.